Art Setouchi Editorial, News & Misc. 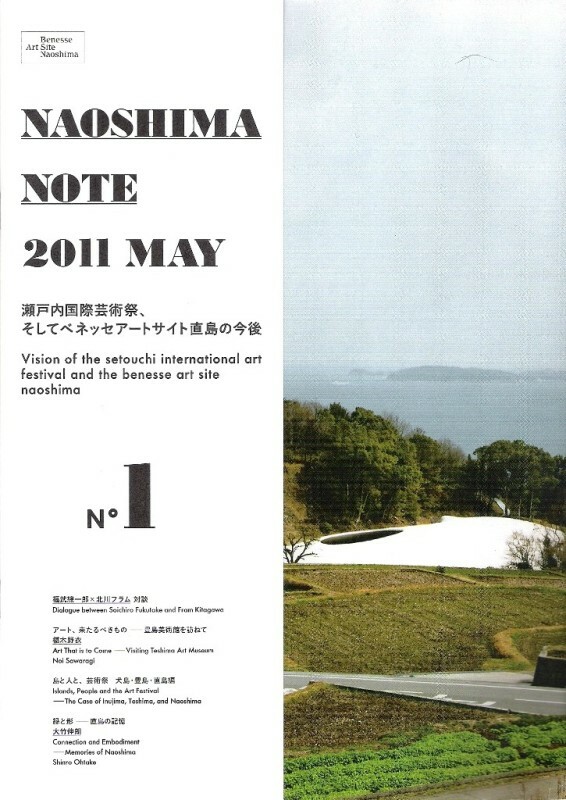 Naoshima Note is a small bilingual quarterly published by Benesse Art Site Naoshima talking about, well the Benesse art sites as well as life and other aspects of the islands where they’re located, namely Naoshima, Teshima and Inujima. I found it totally by chance, last June, on Teshima, and I instantly became a big fan. The articles talk about the islands in ways that are not to dissimilar from this blog (but written by people that have inside information, not just a clueless French guy still trying to understand what’s going on half of the time). Unfortunately, it’s not very easy to find. It is my understanding that one can buy only on the Benesse Art Sites on the three islands. It is possible to subscribe to it, but only within Japan. Thanks for the compliment Nikole, it’s much appreciated. Thank you for making this arrangement with Benesse! First I was excited to learn that such a publication existed, then disappointed to hear that I wouldn’t be able to get it in America, and finally thrilled that you would publish some of it here. But even without that, I always look forward to your blog. For a “clueless French guy” (and I don’t agree about the clueless part) you do a great job of presenting the Seto Naikai islands and their unique attractions. Wow, I didn’t think anybody really would be interested in this announcement. I’m glad you are. And thanks for the compliment too, it is also much appreciated.